Successful commercialization of LED products for general illumination will depend on a number of factors, such as cost, lifetime, intensity, luminous efficacy and color quality. The primary motivation for development of solid-state lighting is the potential for huge energy savings. The energy efficiency of a light source is measured by luminous efficacy (lumens per watt), a component of which is the luminous efficacy of radiation (ratio of luminous flux to optical power or radiant flux). The luminous efficacy of radiation (lm/W) is the theoretical maximum luminous efficacy, determined solely by the spectrum, not considering losses from the conversion of electricity into light. Color quality is a critical characteristic of light sources for general lighting. Inexpensive, highly efficient and long-lasting products still will be rejected by consumers if color quality is poor. Color quality encompasses the chromaticity of light itself and the color rendering performance of the source, both of which are determined by its spectral power distribution. Thus, accurate evaluation of color quality is critical for designing solid-state lighting products as well as for developing white LED technologies. Light sources for general lighting must have good white light chromaticity. The chromaticity of light is two-dimensional, expressed in the CIE 1931 (x,y) chromaticity diagram. As a practical means of conveying chromaticity using one number, correlated color temperature is frequently used, while the other dimension — deviation from the Planckian locus (yellowish/pinkish tint) — also is critical. After two years of committee efforts led by the National Institute of Standards and Technology (NIST) in Gaithersburg, Md., an ANSI standard for chromaticity of solid-state lighting products has been published (Figure 1), and white LED products often are sorted according to this standard as well. Figure 1. A graphic representation of chromaticity requirements for solid-state lighting products from ANSI C78.377 is shown. The eight quadrangles are the specifications for solid-state lighting products. The ellipses are those for compact fluorescent lamps in the US Department of Energy’s Energy Star specifications. The color rendering property of a light source is tied to how natural the colors of objects look under the given illumination. The color rendering index standardized by the International Commission on Illumination (CIE) is widely used to evaluate the color rendering performance of light sources. The difficulty, however, is that color rendering and luminous efficacy of radiation generally have a trade-off relationship. Based on the color rendering index, color rendering is best achieved by a broadband spectrum distributed throughout the visible region, whereas the luminous efficacy of radiation is maximized by monochromatic radiation at 555 nm. The challenge in creating LED products for general illumination is to provide the highest possible energy efficiency while achieving the best possible color rendering. Therefore, an accurate metric of color rendering is of critical importance. If the metric is incorrect, suboptimal products could be developed, potentially wasting energy. 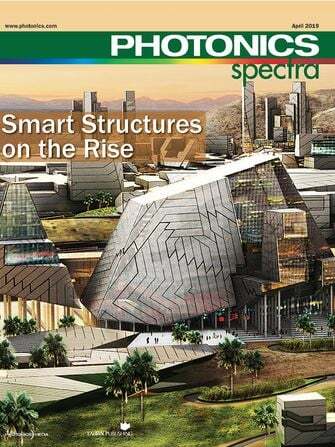 The color rendering index is outdated and has deficiencies, especially when used for sources with narrowband spectra. For example, it can give a decent score to a light source that has unacceptable color quality (Figure 2). Furthermore, it provides a scale only on color fidelity (object colors under the test source compared with object colors under a reference illuminant). Other important characteristics are not considered, such as chromatic discrimination between objects, preferences and other aspects of perceived naturalness. The problems the index presents in evaluating white LEDs have been investigated by the CIE, which concluded that a new metric is needed to accurately evaluate color rendering of white LED light sources. Figure 2. An example is shown of RGB white light whose color rendering index (Ra) is 82, but it renders red objects brown. The source spectrum (top left), the color appearance of saturated colored objects under this light (bottom left) and the plot of 15 saturated Munsell color samples in a CIELAB diagram under this light (right, red line) are pictured. The distance from the center of the diagram corresponds to the degree of color saturation. It is well-known that people prefer object color appearance with slightly enhanced chroma (colorfulness, vividness). This is evident by the success of neodymium incandescent lamps, which have an unimpressive color rendering score (Ra≈77), but which are popularly sold for twice the price of normal incandescent lamps having a perfect score (Ra≈100). Furthermore, the color rendering index uses phases of daylight as reference illuminants when sources have correlated color temperature at or above 5000 K. However, this method does not consider the illuminance level, which, in typical residential and commercial applications, can be two or three orders of magnitude lower than real daylight. Perceived object chroma is reduced with decreases in object luminance. Chroma-enhancing sources would compensate for this effect, and perceived object colors under such sources would be more similar to object colors under real daylight. Recent experiments indicate that some red-green-blue (RGB) white LED sources are preferred to incandescent lamps in spite of their low color rendering index values. RGB-based white light tends to have enhanced color contrast, which may be an important benefit of these sources for general lighting, but it is penalized by the color rendering index (Figure 3). These observations suggest that true fidelity — as defined by the color rendering index — is not sufficient, and objects with slightly increased chroma appear “better” and more natural to users. Figure 3. This example of an RGB white light source enhances object color contrast. The source spectrum (top left), the color appearance of saturated color objects under this light (bottom left) and the plot of 15 saturated Munsell color samples in a CIELAB diagram under this light (right, red line) are shown. The distance from the center of the plot corresponds to the degree of color saturation. Visual experimentation at NIST demonstrated excellent color rendering of this light, although its color rendering index (Ra) is only 71. To address these problems, NIST is developing a metric called the “Color Quality Scale,” which is being proposed to the CIE committee. The committee will produce a new standard for color rendering of light sources. The formula of the scale will be refined with visual evaluation experiments on a number of phosphor-type and RGB white LED source spectra as well as traditional light sources. A spectrally tunable lighting facility is being built at NIST to enable such experiments. Yoshi Ohno is the leader of the Optical Sensor Group, Optical Technology Div. at NIST in Gaithersburg, Md. ; e-mail: ohno@nist.gov. Descriptive of the radiant power of visible light modified by the eye response. It is the measure of the flow of visible light energy past any given point in space in a given time period, and is defined as the amount of flux radiated by a source of 1 candela into a solid angle of 1 steradian.